Cerave is giving out Free Sampler Packs! 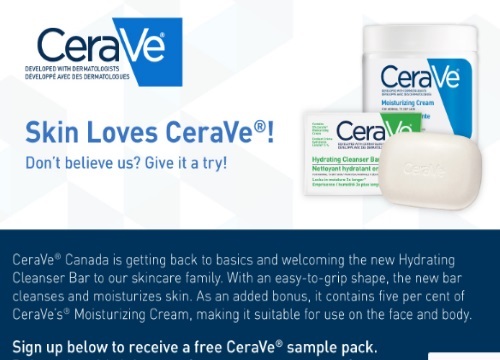 Get a Free Cerave Hydrating Cleanser bar and Cerave Moisturizing Cream and a coupon to save on your next purchase if you choose to buy their products! Limit 1 per person, while quantities last. If you're on mobile, try the link here. Click here to request a Free Sample.